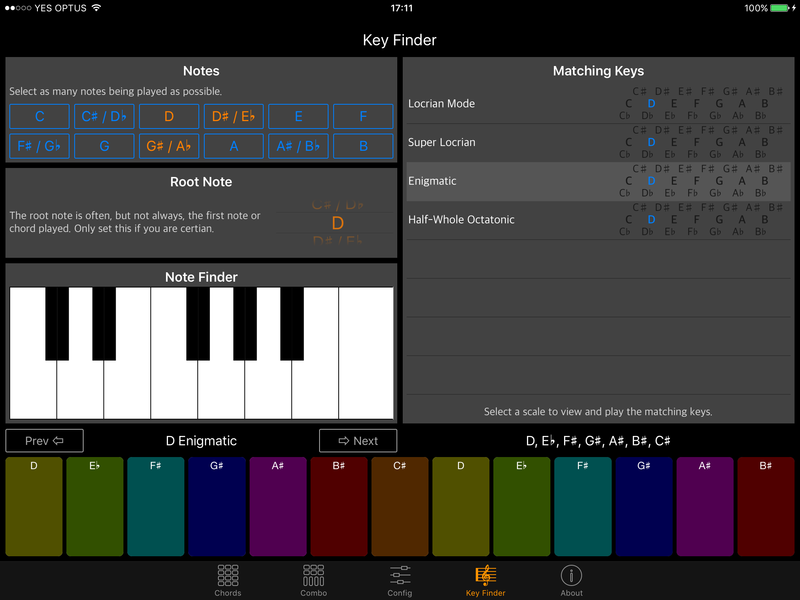 Keynality is a key based musical instrument designed for composers, performers and producers to assist with making music with unfamiliar or unusual keys. 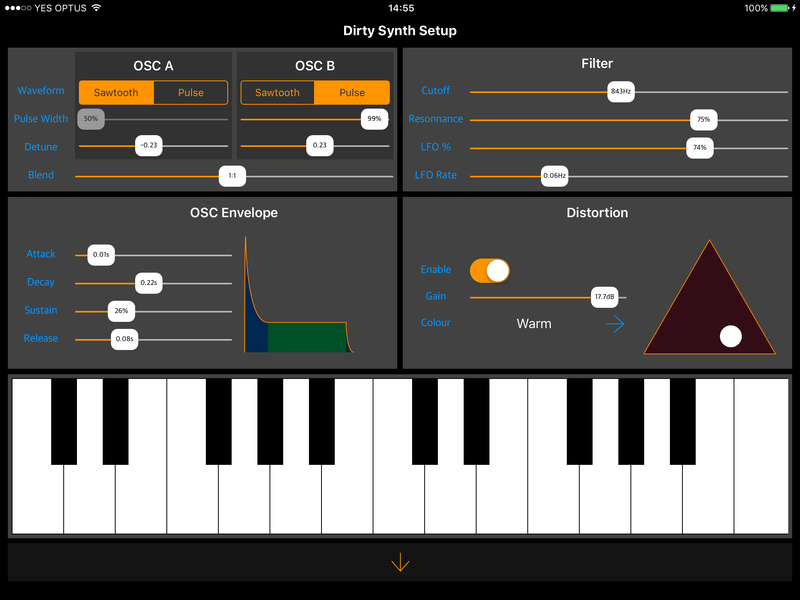 It provides a musical palette for creating chord progressions, working out harmonies or melodies using either internal sounds from the inbuilt synth and sampler, virtual or physical midi sound source. 306 keys based on 26 heptatonic, 8 hexatonic, 5 octatonic and 7 pentatonic scales. 125 chords including 6th, 7th, 9th, 11th and 13th chords plus variants. Velocity support with contact surface area. Presets capture all aspects of Kenality for rapid switching and can be imported and exported. 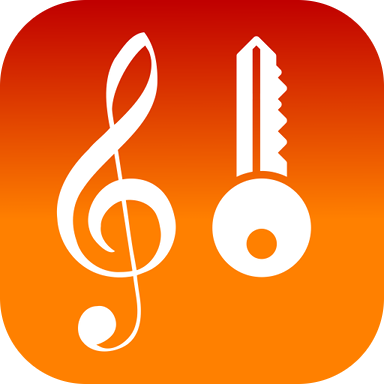 A Key Finder to help identify musical keys accoustically. 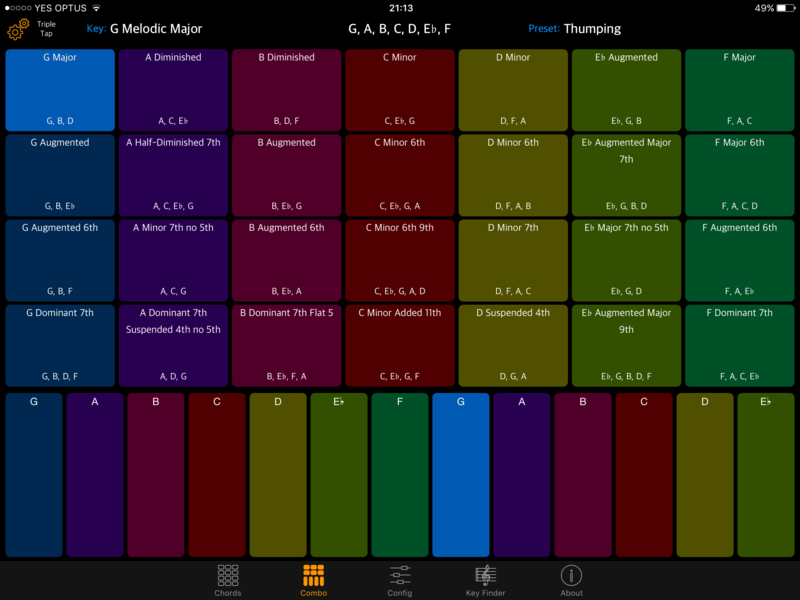 The scales included are Major Pentatonic, Minor Pentatonic, Japanese, Yo, In, Insen, Iwato, Major Hexatonic, Minor Hexatonic, Major Blues, Minor Blues, Augmented, Prometheus, Tritone, Whole Tone, Whole-Half Octatonic, Half-Whole Octatonic, Major Bebop, the Diatonic Modes: Ionian (Major), Aeolian (Minor), Mixolydian, Dorian, Phrygian, Locrian, Lydian, Melodic Major, Melodic Minor (Asc), Phrygidorian, Half Diminished, Lydian Augmented, Lydian Dominant, Major Locrian, Super Locrian, Harmonic Major, Harmonic Minor, Gypsy, Hungarian Minor, Hungarian Gypsy, Neapolitan Major & Minor, Persian, Phrygian Major, Ultraphrygian and Enigmatic. From these scales the 306 keys are derived. The chords are based on Major, Minor, Dominant, Augmented, Diminished and Suspended triads and include 2nd, 4th, 7th, 9th and 13th chords plus added & subtracted variants as well as the weird and uncommon chords. What sound file formats are supported in the sampler? What Soundfont formats are supported in the sampler? Can I modify the sampler soundbanks? Not from within Keynality, however for sf2 soundfonts you can use the excellent polyphone editor. I keep triggering system gestures when I use four fingers, how can that be stopped? Go to settings ➔ General ➔ Multitasking and turn off "Gestures"
Why is the Export button greyed out? When I press export or perform an import, nothing seems to happen? You have turned off notifications. Press the System Settings button on the about page and enable notifications to turn it back on. Your presets are being exported and imported in the background. How do I import a preset? 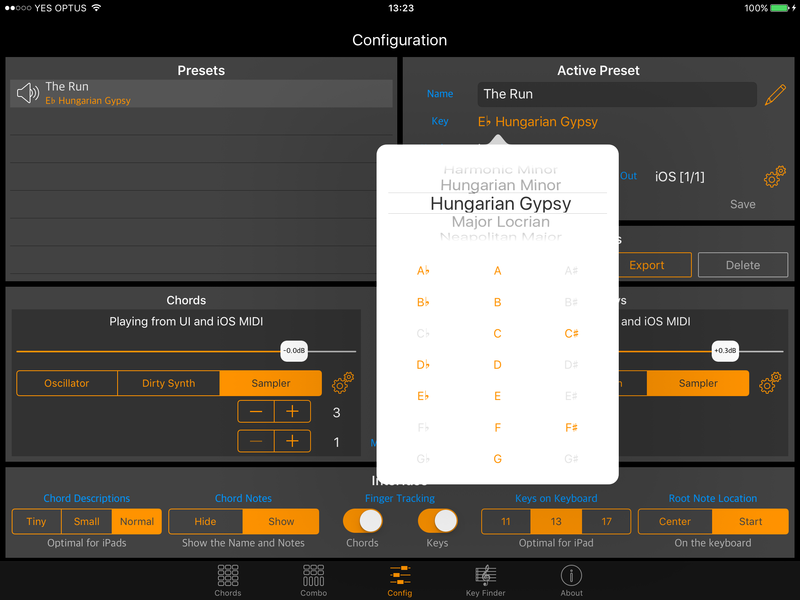 Email the preset to the iPad or put the preset on the iCloud drive. From the Mail app just press the file icon and select "Import with Keynality". On the iCloud drive press the icon, select share... then select "Import with Keynality". Import occurs in the background and you will get a notification when finished. If your question has not been addressed or you have suggestions, please click on the button to be taken to our support website and we will be in touch. Major, Minor (natural) and Melodic Minor Keys. 26 common Major, Minor, Dominant, Diminished, Augmented, Suspended chords including 6ths and 7ths. Preset export 100% compatable with Keynality. The other differences between the Junior Edition and the full version are the Junior edition cannot import presets, or sounds in to the sampler, has no MIDI functionality and is limited to 3 presets. 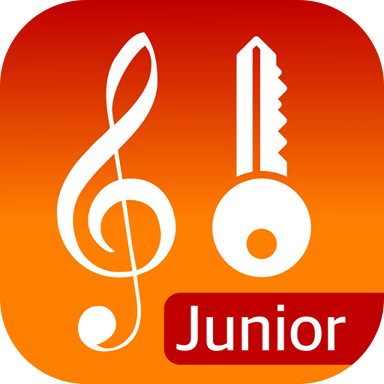 Keynality and Keynality Junior can be downloaded from the Apple app store. Keynality does not collect, store or transmit any personal information. This is displayed on the form. The purpose of collecting this information is to help diagnose and fix the problem. It is not used by anyone outside of FSR Solutions.